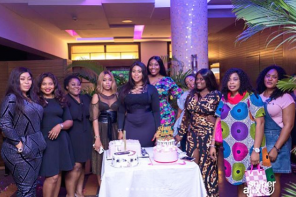 First photos from the grand premiere of Omoni Oboli’s Wives On Strike The Revolution! 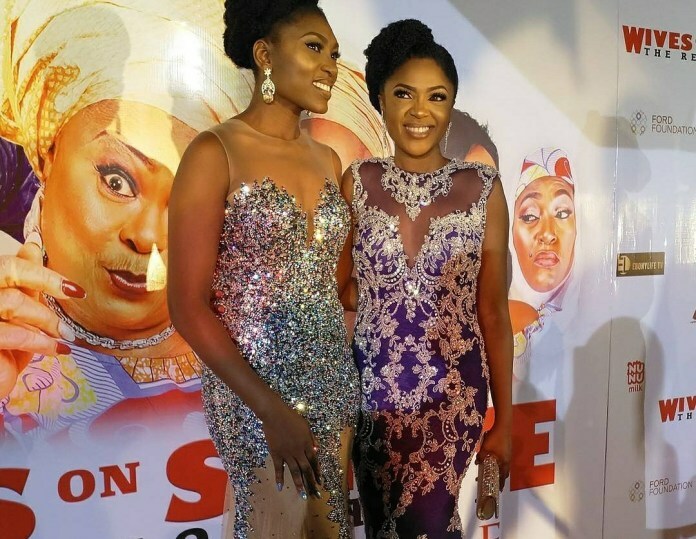 It’s another movie premiere Saturday and the IMAX Cinemas Lekki is presently playing host to Nollywood superstars who have trooped out to support Omoni Oboli as she premieres her latest movie Wives On Strike The Revolution! 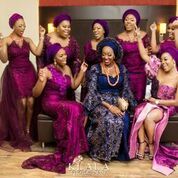 The movie, shot in Nigeria and London is the sequel to Wives on Strike a movie which proved Omoni ‘s worth as a great producer and writer. The Revolution however gathered more stars from different sectors of the entertainment industry including Yoruba actor Odunlade Adekola. Set to hit the cinemas nationwide on December 29th, the movie screens today at the IMAX cinemas, and we know there is no premiere without a red carpet!